When it comes to fake tanning, I’m a complete wuss. I’m scared of turning into an Oompa Loompa, and there is nothing worse than sporting the giveaway orange knees and knuckles. So, when I headed through to Glasgow to learn from the St Tropez experts, I would have said the Extra Dark Tanning Mousse was certainly not the product for me. I’m wary when it even comes to sitting beside dark bottles of fake tan, let alone slapping some on. But after learning about the best ways to prep skin, as well as to apply the tanner, I couldn’t resist giving it a go. After rigorously exfoliating, and adding a little moisturiser to my knees, ankles and feet, I added a few puffs of mousse to a tanning mitten, and applied in upwards sweeping motions, making sure I didn’t miss an inch. Since I’m so pale, I keep applications to my legs, leaving it to develop for the recommended four hours. The result was a golden tan which looks completely natural. It’s not dried out the skin, or started to look patchy, instead I just look like I’ve been somewhere terribly exotic! 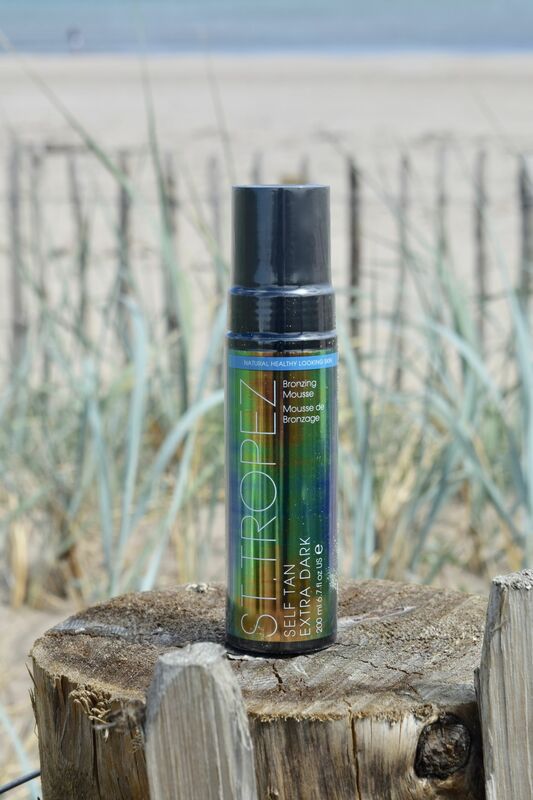 St Tropez Extra Dark Mousse is priced at £34 and is available here.